In 1894 Lewis T. Fitzhugh founded Belhaven College for Young Ladies in Jackson, Mississippi. The college was housed in the former residence of Col. Jones Hamilton, located on Boyd Street, and took its name from Hamilton’s ancestral home in Scotland. On 7 February 1895, just seven months after it opened, the college burned to the ground. A new, larger structure was erected on the same site and opened in the fall of 1896. Fire struck again in 1910, resulting in a total loss. The college then moved a few blocks north to its present location on Peachtree Street, where it occupied a new three-story brick structure on a fifty-five-acre campus. A third major fire on 9 August 1927 destroyed the central portion of the building, although the north and south wings were salvaged. Covered in stucco and painted white, they became the present Fitzhugh and Preston Halls. The name and ownership of the college changed several times during its early years. James Rhea Preston purchased the college from Fitzhugh’s heirs in 1904 and operated it until 1911, when he donated the “name and goodwill” to the Central Mississippi Presbytery of the Presbyterian Church. From 1911 to 1917 the college was known as Belhaven Collegiate and Industrial Institute. Guy Tillman Gillespie served as president between 1921 and 1954 but struggled to gain accreditation for the college. Inadequate library holdings, low faculty salaries, and lack of endowment were the three shortcomings cited by the Southern Association of Colleges and Schools as reasons for withholding accreditation until 1946. Following World War II, costs escalated as enrollment declined from a peak of 310 full-time students in 1945 to a low of 140 in 1953. Threatened with the possible loss of its newly earned accreditation, the college underwent a major transformation that included the retirement of Gillespie, who did not favor either coeducation or intercollegiate sports, and his replacement by Robert McFerran Crowe, who served as Belhaven’s president from 1954 to 1960. Crowe not only opened the college to men and added athletic programs but worked to raise the faculty’s professional standards and to strengthen the academic program. In 1958 the board of trustees assumed governance of the college from the Presbyterian Church; the board received ownership of the college in 1972. Since the mid-1980s, under the leadership of presidents Newton Wilson (1986–95) and Roger Parrott (1995–), Belhaven has undergone an ambitious program of modernization and expansion. Graduate programs have been introduced and satellite campuses opened in Memphis and Orlando. 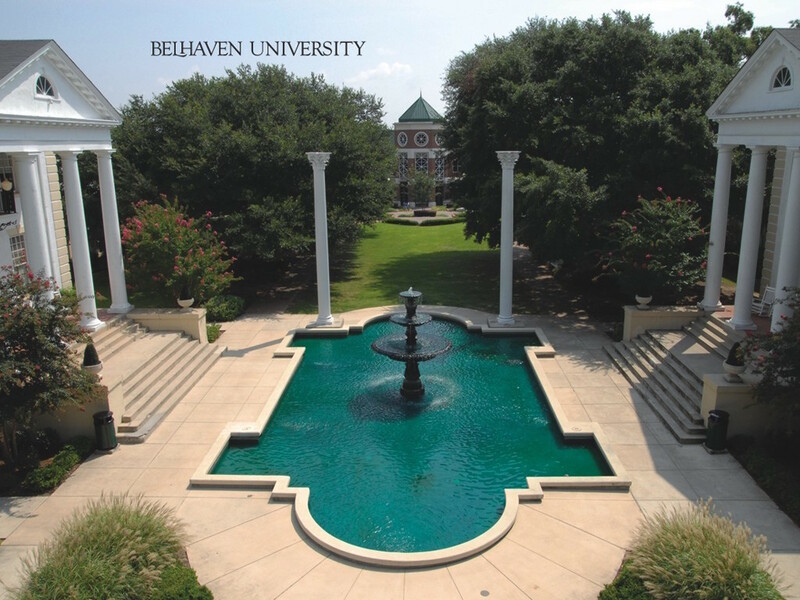 In 2010 Belhaven College became Belhaven University. The school’s mission remains offering a blend of Christian faith, liberal arts, and career preparation on a campus that encourages racial and cultural diversity. Notable Belhaven graduates have included artist Marie Hull and author Elizabeth Spencer. Eudora Welty lived most of her life in her family’s home across the street from the campus.